The ship is getting ready for a bon voyage during its initial trip from Barcelona to Rome in April 2016. In addition, the cruise ship will also make stops in London and Ford Lauderdale, Florida. 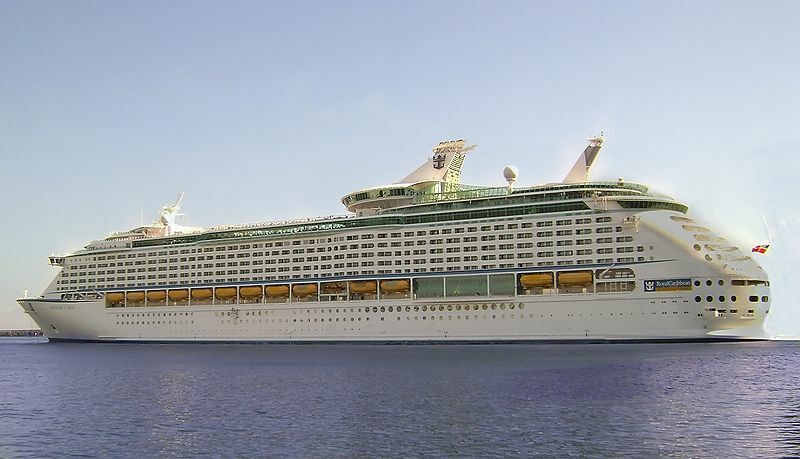 Royal Caribbean’s Harmony will soon take on the title for world’s largest cruise ship as it will boast seven distinct neighborhoods and hold 5,479 passengers at double occupancy in 2,747 staterooms, which is 41 more staterooms than either older ship. The Harmony will be the third in Royal Caribbean’s Oasis class of ships. Once it is complete, the ship will have a gross tonnage of 226,000, a length of 1,187 feet and maximum cruising speed of 23 knots. The Harmony will be slightly larger and more fuel efficient than its sister ships the Oasis of the Seas and Allure of the Seas. The massive vessel will have three multi-story waterslides which will spiral over the Central Park area of the ship ten decks below. The Central Park will feature living trees and real grass. In addition, the Harmony will have two rock-climbing walls, zip lines, an ice skating rink, a full-size basketball court and a miniature golf course. At the ship’s Bionic Bar, which debuted on Quantum of the Seas, robot bartenders will ‘serve up one-of-a-kind crafted cocktails while dancing to a fluid beat’. 20 dining options will be offered aboard. The Harmony of the Seas is the first of two Oasis-class ships being constructed at the French shipyards along with a second one, which is due in 2018 and has yet to be named. 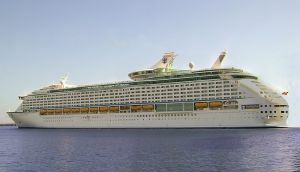 This entry was posted in Royal Caribbean International (RCI), Travel, Vessels and tagged cruise ship, cruise travel, Royal Caribbean International, travel, vacation by writer. Bookmark the permalink.